The Register of Exercise Professionals (REPs) is a regulatory body for the fitness industry and has been established to safeguard anyone using the services of an exercise or fitness professional. Essentially REPs aims to ensure that anyone teaching exercise or fitness has sufficient skills, qualifications and insurance to do so. Whilst membership and accreditation of REPs is not yet a legal requirement, it is most certainly considered ‘best practice’ and many fitness industry employers are now starting to demand it! 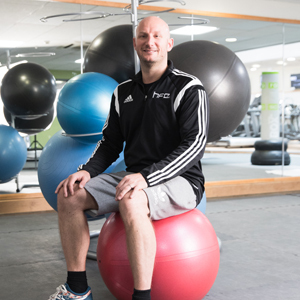 Once qualified, Fitness Instructors and Personal Trainers must provide evidence of their qualification status before they can be added to the ‘Register’. The Register is a publicly available document on the REPs website (www.exerciseregister.org) whereby members of the public can perform searches to ensure that their Fitness Instructor or Personal Trainer appropriately qualified, accredited and licensed to practice. Reps members are required on an annual basis to update their skills and knowledge by undertaking further training, education and workshops- this process is referred to as ‘Continual Professional Development’ (CPD) and must be logged in the members profile on the REPs website. Each form of CPD is allocated a number of points based on its level, difficulty and above all how it relates to the ‘National Occupational Standards’. Unaccredited training courses are unlikely to accrue many REPs CPD points whilst recognised ‘Awarding Body Qualifications’ are awarded the maximum of 20 CPD points. To remain on the Register, REPs members must complete a minimum of 24 points within a ‘rolling’ 2 year period and must also ensure that they achieve a minimum of 4 points in any one year. To ensure that development is continual, members can only carry a maximum of 8 points forward or backwards into adjacent years to make a total of 12 points in any 1 year. There is no maximum number of points a fitness professional can achieve however they must complete a minimum of 4 points every year and 24 points every 2 years.